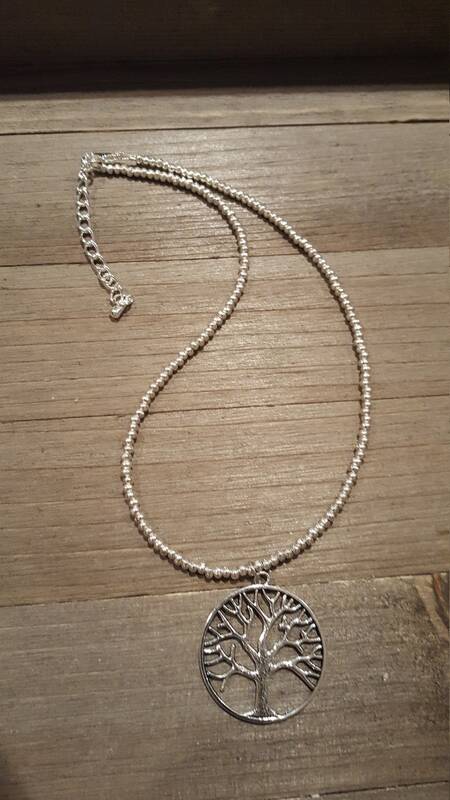 This is a stunning pewter tree of life necklace. Necklace is 16" with 2.5" adjustable chain. Tree pendant is 1 1/4".